This might be a very basic question, but I haven't found a clear answer anywhere, so I hope someone here can help. How does one find the mean and standard deviation of a normal distribution that underlies a folded normal distribution? 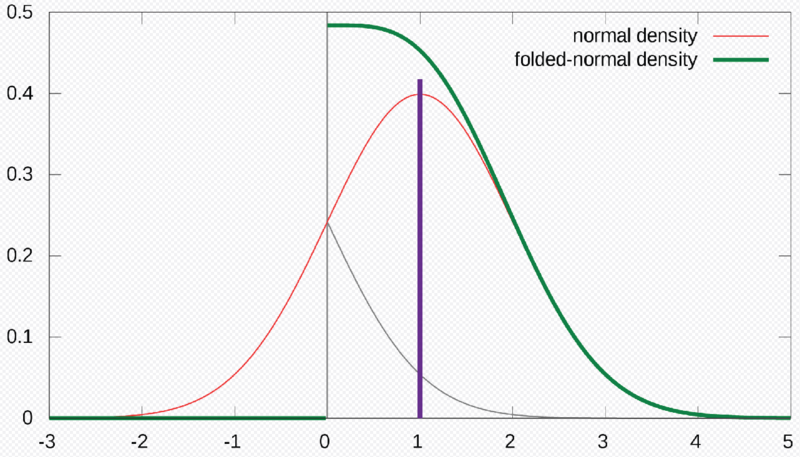 In other words, if you have data that follows a folded normal distribution but want to "unfold" it, calculate the mean and stdev of the unfolded distribution, how do you go about it? Is it simply the mean and stdev from the folded normal equation, as described here? Or is it this equation? Browse other questions tagged probability-distributions normal-distribution or ask your own question. How to prove Gaussian integral in normal distribution can be scaled to a standard curve?